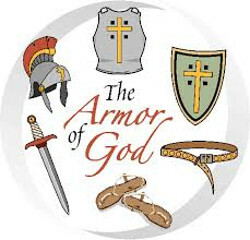 Use God’s Armor To Resist Attacks. We are engaged in a spiritual battle. All believers find themselves subject to Satan’s attacks because they are no longer on Satan’s side. For this reason, the Bible tells us to use every piece of God’s armor to resist Satan’s attacks and to stand true to God in the midst of those attacks. CONTINUE READING: Use God’s Armor To Resist Attacks. What a wonderful blog, Bill and Teddy! We did a Bible study about this and it's so clear that God has given us weapons that will defeat all of Satan's attacks but we have to know about them and use them.